Remember to make eye care part of our daily routine! Our eyes are often referred to as the window of the soul, but somehow we seem to neglect these ‘windows’, whether it be consciously by reading in the dark, or subconsciously by neglecting our diets. Everyday eye care need not be a burden and small changes can sometimes have huge benefits. Let us look as some practical advice on how to be eye healthy. For some, sunglasses are an extension of their personality, for others a fashion accessory, and for many just a practical instrument to keep the sun out of their eyes. However you view your sunglasses, protecting our eyes with sunglasses is part of general eye care which has become a necessity in this day and age. When buying a pair of sunglasses, it is important to buy a pair that gives 100% ultra-violet (UV) protection or has a reading of UV400. UV400 means that the sunglasses blocks out all rays that have a wavelength up to 400 nanometers, which includes all UVA and UVB rays. UVA rays: These are low energy, almost visible rays and can pass through the eye and reach the eye’s lens and retina. UVA rays are also linked to cause cataracts and macular degeneration. UVB rays: A slightly higher energy ray, mostly blocked by the earth’s ozone, but some UVB rays still reaches earth. UVB rays are responsible for the darkening of the skin when we are exposed to sunlight. UVC rays: Very high energy rays and is blocked by the earth’s ozone layer, however, with the damage to the ozone layer, it could potentially allow some UVC rays to reach earth. These rays can cause serious damage to our skins and eyes. High-energy visible rays (HEV): Often also referred to as ‘blue light’. These rays are visible light and can penetrate deep into the eye and cause damage. Apart from blocking 100% of the UV rays and absorbing the HEV rays, it is also important for sunglasses to wrap around your eyes in order to avoid any stray light to enter around the sides of the glasses. This is especially important when you are in areas where there is much reflection, like snow covered areas and beaches or swimming pools. Wearing a wide brimmed hat can also increase UV protection of the eyes. People are often mistaken when they think that UV rays are not present when it is overcast. Although UV exposure in overcast weather is minimized, it is still as harmful. The colour of your sunglass lenses does not matter when it comes to UV protection. Assist your children in forming healthy eye care habits by encouraging them to wear sunglasses. Contrary to popular belief, the most UV damage to your eyes occurs before the age of 20 years. This is due to the fact that children spend much more time outdoors than adults and their eyes are more sensitive and not as capable at filtering light. It is therefore imperative that children start to wear sunglasses at an early age, especially when on sandy beaches and snow covered areas, as reflection of UV rays is just as harmful as direct exposure. For healthy eyes, antioxidants are vital. Vitamins A, C and E are the three most important ingredients in your diet for eye health. Vitamin A – This vitamin is important for healthy cells in the retina and is essential to eye care. Vitamin A deficiency is the leading cause of night blindness and it plays an important role in preventing cataracts and Age Related Macular Degeneration (AMD). Vitamin C – This truly is the wonder vitamin. Not only does it help with keeping your immune system strong, it also does wonders for your eyes. 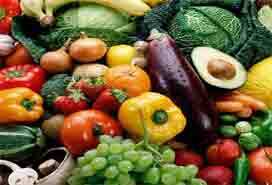 As with vitamin A, it assists in delaying the onset of Age Related Macular Degeneration (AMD) and cataracts. More importantly, it assists in the prevention of glaucoma and pressure relief for glaucoma sufferers. Vitamin E – Apart from being good to prevent heart diseases, vitamin E also aids in the prevention of cataract formation and growth. Lutein and Zeaxanthin, found in leafy green vegetables or yellow and orange fruits and vegetables have been proven to reduce cataracts. Fatty acids found in oily fish and bioflavonoid found in berries. By following a balanced diet, your body should be able to absorb all of these vitamins and minerals. However, with busy and stressful lives, we sometimes neglect our diets and require supplements to fill the gaps in our diets. Make sure that you choose your supplements carefully and preferably with the advice from your health care professional. Regular, comprehensive eye exams are extremely important in early detection of eye diseases and should be part of your eye care regime. Quite often comprehensive eye exams are confused with eye screening tests. A screening test is done within a few minutes and tests for blurs, common eye diseases and muscle coordination. A screening is the test that is commonly done when going for a driver’s license exam. 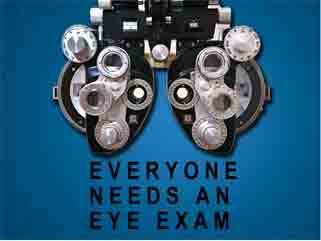 A comprehensive eye exam is done by an eye care specialist that conducts a series of tests on the eyes. These test will not only determine whether you require prescription glasses or contact lenses, but will point out any eye diseases, whether your eyes are working correctly as a ‘team’ and give you a general indication of health. As a general rule, you should go for a comprehensive eye exam at least every two to three years, unless you suspect a problem such as blurred vision, constant dry infected eyes. If you do not wear regular prescription glasses or contact lenses, you should still get an eye exam every two years up until the age of 65, thereafter you should have your eyes tested annually, as part of your eye care routine. Diabetes sufferers should be specially vigilant with eye care and have comprehensive eye exams more often as they are prone to eye diseases. It is also important to have your child’s eyes tested at 3 months, 3 years and again before s/he goes to school. An eye disease or other eye problems could potentially have a negative effect on your child’s performance in school. Protect Your Eyesight provides the information for you to save your eyesight. Learn about your eyes so you know how to prevent injuries, illnesses and blindness, and how to prepare for anything that might occur.